Ireland v Georgia: is Joe Schmidt the world’s best coach? WE THINK in generalities but live in detail, wrote an English philosopher. It’s a creed that Joe Schmidt has taken to heart, the New Zealander’s latest triumph as Ireland coach – his fifth on the bounce – bearing the hallmark of forensic preparation. South Africa, trounced 29-15 last weekend in Dublin, were the last of the major nations to pit their wits against the former schoolteacher and safe to say they won’t forget the experience. Good luck Georgia on Sunday, you’ll need it in spades. 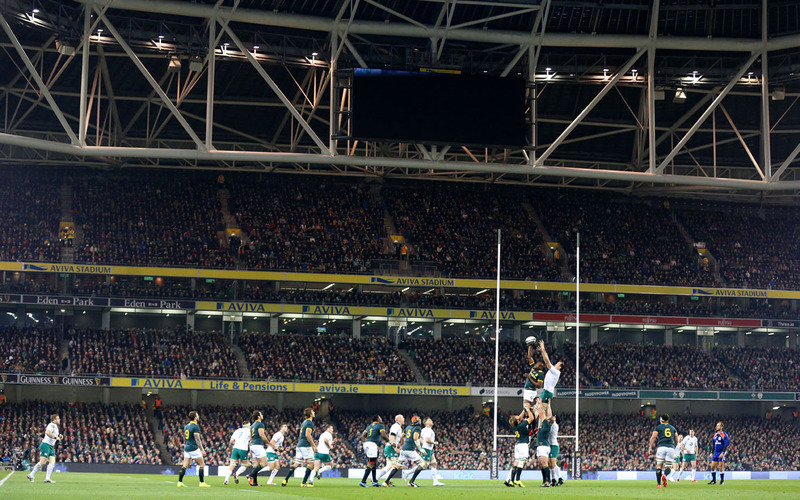 The Irish tactic of standing off at the lineout, with Jack McGrath coming round to sack the ball carrier as the Springboks prepared to maul, was staggeringly effective yet hardly original. Teams have been doing it for yonks and the Boks’ bewilderment was strange to see – do they not watch any rugby? The point is, however, that it worked. And on the rare occasions when the Boks did get a drive going, the low body positions of the Irish defenders stopped it at source. Has any other team disarmed the Boks’ biggest weapon so effectively? Not only were the Boks stripped of their drive, they conceded a try to it as Ireland worked a perfect shift drive to put Rhys Ruddock over for the opening try – watch it below (reel time 0:50) or click here. The swift transfer of the ball from catcher Devon Toner is standard for a shift drive, but the speed and tempo of what follows marks Ireland out from other nations. The Irish forwards drive towards the cornerflag, their goal not to spear through the Bok forwards but away from them. Toner blocks Eben Etzebeth, Paul O’Connell blocks the key maul defender Victor Matfield, and Peter O’Mahony blocks three other forwards. Before the Boks even know what’s happening, Ruddock has crashed over their line. This ability to rapidly split the opposition pack echoes Chris Henry’s try against Wales in this year’s Six Nations. On that occasion O’Mahony and Mike Ross sealed off four Welsh defenders by angling infield and Andrew Coombs was left as the only Welshman in contact with the Irish drive. Devastating stuff. Both scores were based not on power but on speed and manipulation of angles, and they are typical of Schmidt – a coach who believes every player has a role to fulfill at every moment. A desire to play under Schmidt was a major factor in Brian O’Driscoll’s decision to prolong his Test career last season and the Irish legend spells out his esteem for Schmidt in his sparkling autobiography. When Ireland, agonisingly, lost at the death to New Zealand last autumn, Schmidt highlighted not only seven system errors in the way his side defended in the final 100 seconds but also Kieran Read’s chase-back when Rob Kearney was running in Ireland’s third try. It narrowed the angle for the conversion and meant Ireland led 19-0 when it would otherwise have been 21-0. “That’s what it takes,” Schmidt told his team. 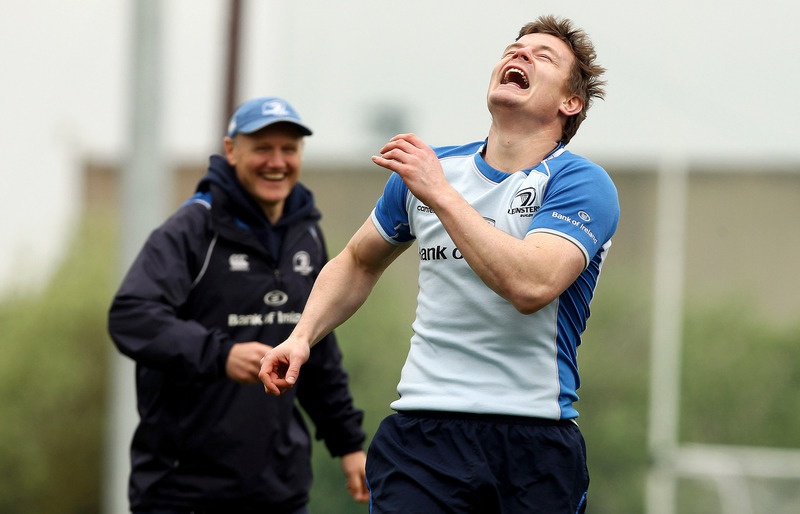 Private joke: What has Schmidt just said to O’Driscoll?! Only the Boks’ late try last Saturday prevented Ireland climbing to third in the world rankings. During Schmidt’s first year in charge, they’ve come closer than any Ireland team in history to beating the All Blacks, they’ve won the Six Nations, they’ve won a historic first series in Argentina, and they’ve beaten the Springboks. It’s some record and already as respected a commentator as Tony Ward has dubbed Schmidt the All Black coach in waiting. Are Ireland the real deal? Perhaps not. They came off second best in most of the stats last weekend and you wonder how often Schmidt will be able to pull rabbits from a hat. But even this assertion must be qualified because Ireland, shorn of major ball carriers like Sean O’Brien and Cian Healy, played a deliberately pragmatic style of rugby to suit the personnel available and the opponents in front of him. Offloads? Who needs them when your half-backs can kick as well as Johnny Sexton and Conor Murray. Ireland kicked the ball away nine times in the first 11 minutes, negating the Boks’ rush defence from the off, and instead resorted to power plays, like the one that pulled Bryan Habana out of position and created the space for Tommy Bowe to score. 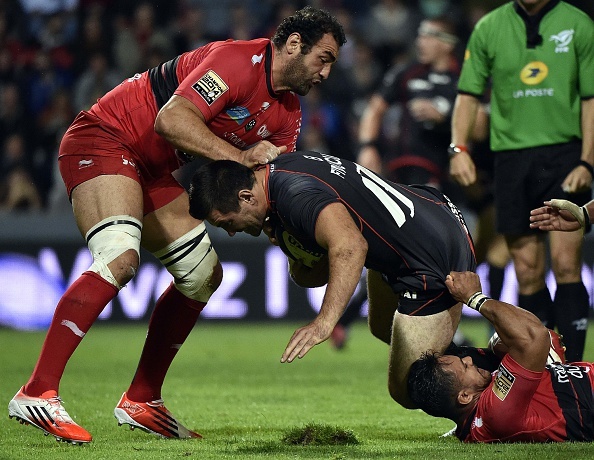 So good luck Georgia, who arrive at the Aviva Stadium without some key players – including the Toulon giant Mamuka Gorgodze – and chastened by a 23-9 loss to Tonga in Tbilisi. The Georgians have a link or two to their hosts: Michael Bradley, the ex-Ireland scrum-half and Connacht coach, is their backs coach whilst head coach Milton Haig, a Kiwi, worked with Vern Cotter at Bay of Plenty – before suggesting Schmidt take his place. It’s a match Ireland should win comfortably, even though their last meeting, 14-10 at RWC 2007, was a nail-biter. Ireland have rung the changes for Sunday, with Dave Foley and Dominic Ryan set to win their first caps. Ireland starting XV: Felix Jones; Craig Gilroy, Darren Cave, Gordon D’Arcy, Simon Zebo; Ian Madigan, Eoin Reddan (capt); Dave Kilcoyne, Richardt Strauss, Mike Ross, Dave Foley, Mike McCarthy, Dominic Ryan, Tommy O’Donnell, Robbie Diack. Ireland bench: Sean Cronin, Jack McGrath, Rodney Ah You, Devin Toner, Robin Copeland, Kieran Marmion, Ian Keatley, Stuart Olding. * Ireland v Georgia at the Aviva Stadium on Sunday, kick-off 2.30pm. Click here for tickets.